We are pleased to be able to offer Futuna Chapel as a venue for selected functions. Futuna Chapel is suitable for secular or religious events, and its architectural presence will add to the impact and emotion of the occasion. Futuna Chapel is generally regarded as one of the most significant New Zealand buildings of the 20th century. It won the New Zealand Institute of Architect’s gold medal in 1968, and the 25 year award in 1986. The Chapel’s architect, John Scott, was posthumously awarded a NZIA Gold Meal for Enduring Architecture in 1999. The Chapel is the last remaining building of the Society of Mary Catholic retreat centre that was built on the former Kirkcaldie estate. Futuna Chapel was handbuilt by the Catholic brothers and volunteers, and contains art by sculptor Jim Allen. The first mass was held in Futuna Chapel in 1961. The design of the Chapel is unique, due to the vision of John Scott, but also to the requirements of a chapel in a retreat centre. When built, the Chapel was required to accommodate all the priests staying at the retreat centre, and allow for each of them to say Mass every day. Hence, as well as the main altar, there are four side altars around the walls of the Chapel. The retreat centre was sold by the Society of Mary in 2000, and was largely demolished. Futuna Chapel was deconsecrated, and also faced demolition. 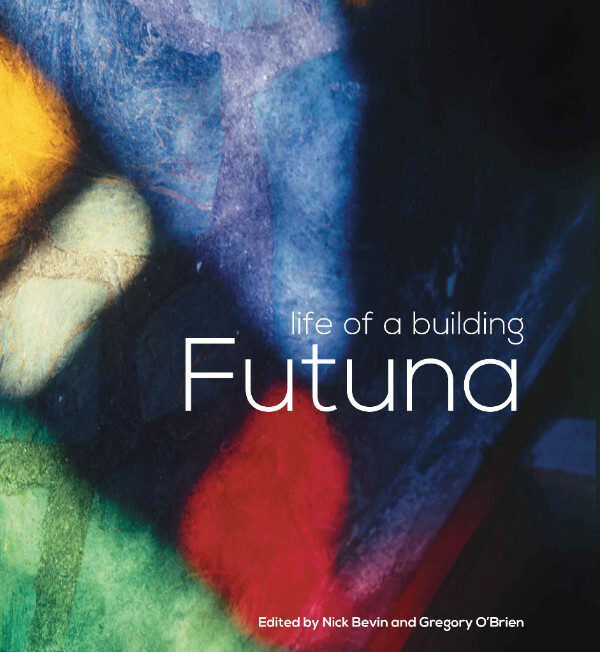 The Friends of Futuna Charitable Trust, a group of private citizens concerned with Wellington and New Zealand art, architecture and history was formed, and purchased the building. The Trust, a non-profit organisation, is dedicated to ensuring that Futuna Chapel is preserved for future generations. Futuna is registered as Category 1 by the New Zealand Heritage, meaning that it has ‘special or outstanding historical or cultural heritage significance or value’. In choosing Futuna Chapel as the venue for your occasion, you are sharing the gift of Futuna with your guests and they will thank you. You are also supporting the Trust to preserve the Chapel, and we thank you. Lectures and presentations: particularly those with concerned with art, architecture, history or spirituality. Concerts: the acoustics at Futuna are particularly enjoyed by string ensembles, and choirs, as the acoustics suit choral and classical music. Weddings and Christenings: the Chapel retains its spiritual/religious atmosphere, and is a lovely space for ceremonies led by clergy or celebrants. Please note that the Chapel can hold up to 100 people. The Light: The Chapel has banks of coloured acrylic windows reaching high up to the roof. At certain times of the day, the light from these windows moves through the chapel, being especially stunning on the rough cast concrete wall behind the altar. The Layout: The Chapel is a non-traditional layout with a centre post, no aisle and the two blocks of seating at right angles to each other. Each block of seating consists of six unpadded timber pews, and each pew seats up to eight people. Disabled Access and Facilities: There are three shallow steps to the porch, and a small step at the door. We have a removable ramp that can be put in place as required. The pews are on a 100mm high raised area of floor, and there is plenty of space adjacent for a wheelchair. The dais and altar are several steps above the floor level. There is an accessible toilet. Kitchenette: There is a small kitchenette, with a sink (cold water only) and a power point. You will need to bring your own crockery, utensils, supplies. Cleaning: The Chapel will be clean ready for your event. You are responsible for leaving it in the same state that you received it, and removing all rubbish. No confetti is permitted at weddings. Community: Futuna Chapel is located in a residential community. Events that generate excessive noise, crowds or traffic will not be accepted. Events can be scheduled between 10am and 6pm, with evening use by arrangement. Parking: There is no parking within the complex, and the roads within the complex must not be blocked. Drop offs can be made outside the Chapel for elderly, disabled or special guests. Otherwise there is plentiful street parking within easy walking distance. Internal Environment: The Chapel is predominantly concrete, and is generally cool in summer, but cold in winter. There are wall gas heaters which will be switched on several hours before the event during winter, and moderate the temperature slightly. Acoustics: The Chapel does not have a sound system for music, or speaking. However, the natural acoustic qualities of the space are good, and confident speech is clearly heard. Furniture: The Chapel has four built in altars, one built in plinth and one freestanding altar. Projection: Note that although projection screens can be used, there are no curtains, and hence the sunlight in the church cannot be controlled.